I did alot on Saturday birding-wise. We started at Palmyra Cove which was the subject of the last post. I didn't want to overwhelm you all with the entire day, so here is the afternoon/evening post from Saturday. Nothing but blue sky.  Gorgeous, blue sky. The official hawk counters were calling off hawks with statements like - "Does that dot in the sky have a white head?" and "No, the big dot above the 3 little dots". We failed to bring the Hubble Telescope with us, so we saw nothing. What a bust. We didn't even see anything in the woods on our little walk. One Peregrine Falcon screamed by and 2 resident Red-tailed Hawks soared around for a little bit, but nothing else. Then my sister wanted to go for a motorcycle ride. Off we went with binoculars under our motorcycle jackets. I decided to go to Lorimer Park rather than Pennypack Trust since we didn't have the dogs along. Lorimer Park does not allow dogs - or so we thought. They recently completed a rails to trails project that we wanted to explore and I noticed a poop bag dispenser on the trail. Hmmm. Then we met a couple walking dogs and asked about it. Yes, dogs are allowed in the park now. Yeah! Hubble? Lots of interest in the hubble.